A reviewer’s life is not always a predictable one. 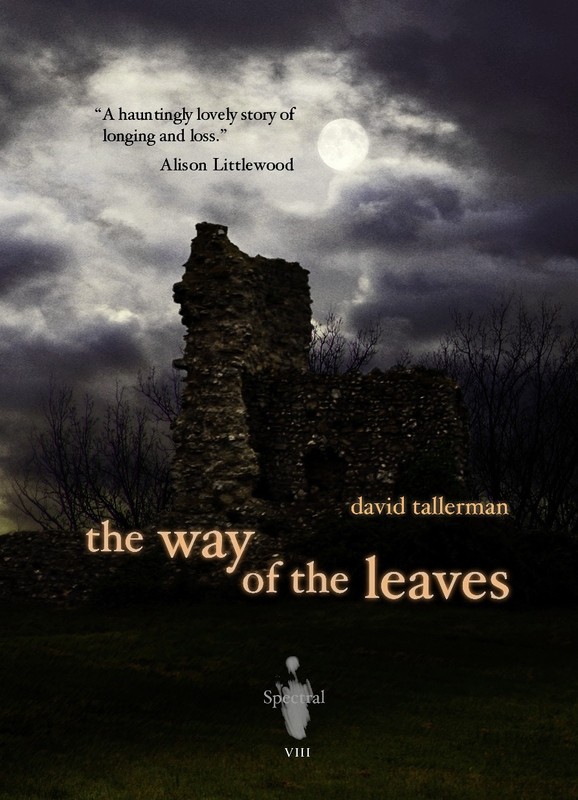 I chose to review David Tallerman’s The Way of the Leaves thinking it was a new novel – I’ve enjoyed his previous, full-length work. I was therefore a bit disappointed to discover it was only a thirty two page short story, but I’m pleased to say the disappointment was short-lived. It is more than just a short story. It is a very fine, award winning short story. Published by Spectral Press in 2012, The Way of the Leaves won the Spectral Press 2012 Horror Short Story Competition. Personally, I wouldn’t describe it as horror. To me, it seems more like dark fantasy, but whatever it is in terms of genre, it is haunting, dark and lyrical: a tale of dread and foreboding and a discovery that will change two teenagers’ lives forever. To tell you any more would be to give away the plot, but clearly, if you stumble across an ancient “place between places”, you cannot guarantee that you’ll ever fit back properly into the place you first came from. Go and read the story for yourself – you won’t regret it. It goes some way to showing you the sheer quality of the Spectral Press publications that when they run a competition for their eighth chapbook, they have the likes of David Tallerman (author of Giant Thief and Crown Thief, published by Angry Robot Books) entering. I haven’t read Tallerman’s novels, but an established author with a publishing contract entering a short story competition for a small press publisher is a massive achievement for Spectral. And Spectral deserves that kind of dedicated, that kind of pull, because they are brilliant at what they do. The eighth (only the eighth and they’ve already confirmed their reputation as one of the best British small press publishers!) magazine-style chapbook features Tallerman’s story, a story of two teenagers whose adventure ends in disaster, but that doesn’t even begin to do justice to this story. Yes, sure, it’s a simple enough story of love and loss, but it’s the sadness that Tallerman portrays that clutches at your heart-strings. It’s well written and the characters are well-rounded, and it reads nicely, but I truly wasn’t impressed to begin with. Halfway through and I was still not thinking this was anything special. I’m glad I persevered (it’s not that this isn’t a brilliant story, it is, but it needs time to build);, it builds into a heart-wrenching urban fantasy. A personal tale of deep loss, and hope and hopelessness. Tallerman provides a soul-chilling tale worthy of the Spectral name. If you haven’t subscribed to this limited-edition chapbook series you may be too late. It’s mostly sold out and deservedly so. The very best of British. Although the chapbook itself is sold out, there will be a collected edition of all eight volumes coming out later this year, in paperback and eBook. There wull also be a very special collector’s edition of TEN only boxsets of all eight chapbooks in their original format, housed in a red Wibalin cloth-covered and gold foil stamped slipcase – more details soon!